Over 70 cities have made commitments to reach 100 percent renewable energy, but only a few have made substantial progress toward achieving these goals that often have deadlines set in the 2030’s or beyond. 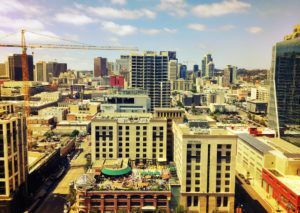 With a population of just over 1.4 million people, San Diego, the country’s eighth largest city and the second largest in California, is also one of the largest to make a pledge to transition to 100 percent renewable energy. Drawing on a unique policy tool allowing cities to choose their electricity supply and the area’s enviably abundant solar resources, San Diego is well on its way to developing a clear pathway for how to reach its goal. Cody Hooven is the Chief Sustainability Officer for the City of San Diego, where she coordinates sustainability planning and policy, with emphasis on economic development. During the third episode in our multi-part Voices of 100% podcast series, Hooven recently spoke with ILSR’s Energy Democracy director, John Farrell about San Diego’s 100 percent pledge and the steps the city has taken toward fulfilling it. Marie Donahue: You’re listening to an episode of Voices of 100%, an new multi-part series from The Institute for Local Self-Reliance’s Local Energy Rules Podcast, where we’re speaking with local leaders from across the country to understand their reasons for pursuing a 100% renewable energy goal, how their city plans to achieve that goal, and what these visionaries see as the future of local, renewable energy. John Farrell: Over 70 cities have made commitments to reach 100% renewable energy, but only a few have made substantial progress toward deadlines often set in the 2030’s or beyond. 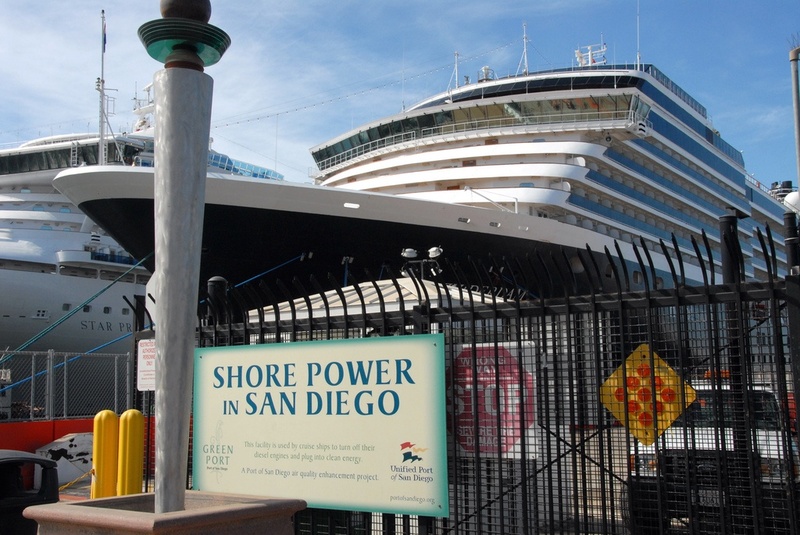 San Diego is one of the largest U.S. cities to make the pledge, in a state with a unique policy tool allowing cities to choose their electricity supply. Cody Hooven, is the chief sustainability officer for the city of San Diego. She recently spoke with me about the city’s 100% pledge and its plans to fulfill it. I’m John Farrell, director of the Energy Democracy Initiative at the Institute for Local Self-Reliance, and this is Local Energy Rules, a podcast sharing powerful stories about local renewable energy. Cody, welcome to the program. John Farrell: So, I want to just start off with just trying to understand a little bit about where San Diego is coming from and ask you what’s the main motivation behind San Diego’s commitment to get to 100% renewable energy by 2035? Cody Hooven: We have a couple of different reasons why we’re headed towards 100% renewable. One is we want to be very ambitious on reducing our greenhouse gas emissions and climate action in general, and we looked at all our tools in the toolbox and the sources of emissions for us. This came up as, obviously increasing renewable energy in general, came up as a large tool, a large and useful tool in the toolbox to reduce our emissions, and we thought why not go big on that goal. Instead of having, you know, an 80 or 90 percent goal, just go all the way to 100. We did some research and talked to different folks in the energy sector, and everybody said, “It’s definitely possible. You’re going to need a little time, but it’s possible.” So, that’s one reason, is to really reduce our carbon footprint and achieve some of our climate action goals. 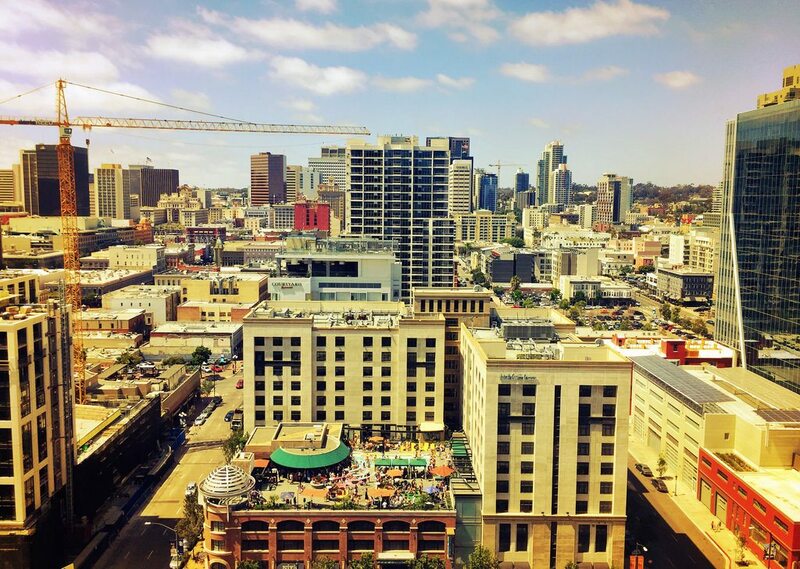 Another reason is we had a lot of business support, we know in order to move these ambitious goals forward, we did a lot of work with both the environmental community but also the business community in San Diego. We asked, what is something of interest to you and, what are goals, you can be happy with and get behind, and which is not often the case in other cities. We heard a lot from our business community. They wanted us to go big on this and be ambitious. It’s always nice to have to support of the business community, when you want to move an initiative forward like this. John Farrell: No doubt. You know there are now 70 other cities with a similar commitment, but often it’s no more than a pledge so far. As you mentioned, you’ve been giving yourself some time. How can a city like San Diego change its energy mix and is there any kind of plan you have with some mile markers for getting to that goal in 2035? Cody Hooven: Yeah, another thing we did — and this is a great question — is we didn’t want to have a plan that sat on a shelf, and we didn’t really know how to get there. So as soon as we adopted that goal back in December of 2015, we started working immediately on, “What’s our pathway there? What does that look like?”. We gave ourselves a nice runway, right, through 2035, consistent with a lot of other climate targets in The States. Part of that is you need a little bit of runway to figure out how to get there. Some of the renewable energy costs are still coming down or the cost of storage. You want to give yourself some room to let that happen, and let the market transformation continue to happen. But, we committed to bringing at least a pathway forward, in the near term, and we’re looking at doing that by the end of this year. So in California, we have a couple different options available to us. One is we’ve been working our local utility to see how they want to be a partner in this and help us get to 100% renewable. So we’ve been talking with them and figuring out what that could look like. We’re also exploring another pathway that’s allowable in the state of California called Community Choice, it’s a legislation that was passed that allows local governments to purchase power, electricity, on behalf of residents and businesses and then partner with the utility to deliver it and that allows us to be in control and in charge of the type of power, which means we could then determine we want to get to 100% by 2035 and actually make that happen. John Farrell: You mentioned partnering with the utility, have they come back to you and said “Hey, you know, this is something we think we can do”? Or is that part of this pathway to process through the end of the year, where that may be what you end up finding out. What have you heard from them? And as well, who or what is the main opposition to, if any, to getting to this goal? Cody Hooven: Yeah we have heard from, first question, we have heard from the utility, and they’ve submitted a proposal to us for how to get there. It’s proposal to talk through the details. There would be a lot of details to figure out, if we worked with the utility on this, and so that’s what we’ve been working on and we intend to wrap that up and present that to our mayor and to the council by the end of this year. Here’s all the questions we’re asking, here is the responses we’re getting from them, here’s what it looks like for the other pathway available to us, and so those are some of the questions that we’re asking are some of the questions that we’re sorting through now, we don’t have all the details yet. And then for your second question about main opposition, you know, I wouldn’t really, I would say more that this was such a big change for people. It’s a new way of doing things. The sector is changing, technology is changing. I think it’s more of some folks struggling to keep up with those changes and new ideas coming along so quickly, so maybe it’s not directly opposition, but it’s a little resistance to change. John Farrell: Maybe this is what folks mean when they talk about climate change adaptation. Cody Hooven: [Laughs] Maybe. Adapting to general change. John Farrell: No, it’s fascinating, we just actually release a report last week talking about the really remarkable change in economics for distributed solar and energy storage, and the implications that’s having for the design of electricity systems and the choices that we’ll have as individuals and as communities. So it’s no surprise that folks are having trouble wrapping their heads around it because I think, even as someone who’s in this industry and who has spent a lot of time looking at it, we were surprised with what we were seeing in terms of how economical things like energy storage are getting. John Farrell: As a possible resource mix. Cody Hooven: We read such wonky topics and we’re now asking policy makers and elected officials to dig in and understand a market that’s changing so quickly it’s hard for those of us trying to keep up with it to understand everything. So, it’s complex. It’s a really fun issue to be working on, though. John Farrell: Yeah, no kidding. Speaking of those kinds of local resources and those things that are changing, I remember reading a sustainability plan or something, it was at least 5 years ago for San Diego, or maybe it was San Diego county, and it looked at, in particular, the local energy resource, solar. And I’m curious you know what role is solar going to play in meeting this goal for San Diego, given that you have such an abundant solar resource? Cody Hooven: We do, we have, I think, currently, we were at number two, for solar installations per capita, and I believe we’re following Honolulu, which is not a bad city to be a number two for. And so we, solar is going to play a big role for us, we have the perfect weather and setting for it. It’s abundant here and can only expand, and we have a lot of companies that are growing in that space and providing job growth, as well. We’re going to need more than solar, but as you know, it’s going to take a variety of forms including sources for base power that we need to look in to, but we do intend to in any pathway, we intend to continue supporting the growth and expansion of solar in our goals. John Farrell: Yeah, that’s actually an interesting question that comes to mind as a follow up to that. Is this notion of ownership or who is building the generation part of the conversation. I’m just thinking about, you know, some of the survey stuff that I had seen about San Diego, was looking at, for example, how many rooftops are suitable for solar, versus utilities can build these really large arrays that use the same kind of panels but they can be as big as a traditional power plant. Is there any thinking from the city about — is there a preference, is there a desire to have kind of all of these things, how is the city thinking about this notion of ownership and then kind of the attendant economic benefits about where those dollars flow then depending on where that energy is coming from? Cody Hooven: We have been thinking a lot about this. So even though at the kind of high level policy making of what’s our pathway to 100%, we’re starting to dig in to some of the details of where do we want that power to come from. We have some criteria set that we really want to look to local benefits as much as possible, which means we don’t want renewable energy credits. You know, we don’t want to just offset our fossil fuel power with green power in a another state. That’s not of interest to us here, and we want to see as much build-out locally, to provide the economic benefits and jobs, but we also want to do this in a way that’s not going to increase costs to ratepayers in San Diego. So, that means if we get into the weeds of it, we’ll have to balance local generation, which tends to be a little bit more expensive because it’s a lot more labor intensive, with bigger, utility scale build-outs that are going to be more cost effective. And that will create a balanced portfolio that’s hopefully still pretty cost effective for ratepayers. John Farrell: I wouldn’t expect that this would be the case but as somebody who spends his life in the wonky weeds… Has some of the conversation at all with the utility revolved around this notion of value? I mean, one of the things I have worked a lot on is pushing back against this myth that utility scale solar and rooftop solar can be compared on price because there’s such a different way in which they provide value. One being on-site and not needing transmission, the other one relying on that bigger transmission pipe. Is that part of that conversation, out of curiosity? And again, I know it’s kind of in the weeds. Cody Hooven: It is, and those of us who are somewhat in the weeds, we do talk about those things. But we haven’t — we’re still chipping away at the bigger issues — so we haven’t sorted out those things, but, if we walk into the room with a bunch of folks working on solar or installations or financing, those questions do come up. And we do discuss them and consider them. It’s just too soon for us to set any real criteria for how to address that yet. I think we’re still at the broad level of how do we — can we make a portfolio mix that is cost effective and renewable? And if that’s a yes, then, that’s one milestone that we move forward on, and then we start to dig into the weeds of setting that up and then really getting into the details of what that mix looks like and where power will come from. John Farrell: What advice would you give to folks either, you know, grassroots activists or elected officials or sustainability staff in other cities, who are considering joining you in making a goal of getting to 100-percent renewable energy? Cody Hooven: Something that’s worked really well for San Diego is we talked to all of our advocates and activists and really tried to bring them to the table and say, “What’s something in here that’s good for you, or what do you want to see in this plan that will work for you?” Knowing that our intention is to get to 100-percent and that’s been really helpful because, folks have bought into the goal collectively and across the board, right — from the business sector to the environmental sector to the advocates around environmental justice even, are all seeing things — and workforce development — they’re all finding things that they can get behind and support. So, really a lot of engagement and relationship building ahead of time, and letting them know that there’s a lot of things that is in this for everybody. So if they find what works for them, a city can really make a lot of those things happen, but it kind of has to be unique to your economy and your particular group of activists and communities and what they want. Marie Donahue: You’re listening to an interview with Cody Hooven from San Diego, California as part of our Voices of 100% Series, from Local Energy Rules. Do you know of any folks we should interview about 100% renewable energy commitments in their community? If so, send us and email at voicesof100@ilsr.org. That’s voices of 100 at ilsr dot org. Stay tuned for the rest of this episode after a short message from our energy democracy initiative director John Farrell. John Farrell: Hey, thanks for listening to Local Energy Rules, if you’ve made it this far, you’re obviously a fan and we could use your help for just two minutes, as you’ve probably notices, we don’t have any corporate sponsors or ads for any of our podcasts, the reason is that our mission at ILSR is to reinvigorate democracy by decentralizing economic power. Instead, we rely on you, out listeners, your donations not only underwrite this podcast but also help us produce all of the research and resources that we make available on our website and off of the technical assistance we provide to Grassroots organizations. Every year ILSR’s small staff helps hundreds of communities challenge monopoly power directly and rebuild their local economies. So please take a minute and go to ILSR.org and click on the donate button, and if making a donation isn’t something you can do, please consider helping us in other ways, you could help other folks find this podcast by telling them about it or by giving it a review iTunes, Stitcher, or wherever you get your podcasts. The more ratings from listeners like you, the more folks can find this podcast and ILSR’s other podcasts — Community Broadband Bits and Building Local Power. Thanks again for listening, now, back to the program. John Farrell: One thing that’s interesting about California, of course, is that it’s got such an active political conversation about energy. There’s always stuff happening at the Energy Commission or the Public Utilities Commission or at the legislature. I know that this community choice program that you mentioned earlier, where communities can make these energy supply decisions is relatively unique. There are only 7 states, where communities have that kind of decision. I also know that there’s an awful lot of communities in California that are looking into it, and I’m curious if there is any kind of political winds that might push back against you being able to have that option on the table, when you present back to city council and the mayor later this year? Cody Hooven: Yeah there’s no opposition to that structure itself of community choice. And you’re right, we do see it growing pretty quickly in California. I think some territories of the Pacific Gas and Electric up in the Bay Area of California, I think they’re predicting 70 or 80 percent of their load will be served by community choice programs in the next five or ten years. It’s a pretty tremendous and a fast shift. So I don’t see any opposition coming from that structure itself. I think there’s just a lot of concerns about, some folks say these are tried true programs and that are working excellent. And others are going to say, “Oh they’re just still too new for us, we’re not sure if this is a good decision to make yet or for government to get in to the role of selling energy.” So, I think it’s going to be some of those ideological arguments more so than any technical issues. Something that we were kind of joking about internally is when we started to work on this plan and get a climate action plan that had a 100% goal in it, initially the conversation was: “You can’t do 100 percent, that’s not possible!” And, just in a few short years, the conversation has shifted to a debate over how to get there, not whether it’s possible or not. So, that’s been a fun thing to watch. John Farrell: Are there any other tools that you wish the city had at its disposal for trying to meet this goal — other structural ways that the electricity market works or other technologies that you really wish were more advanced — that would make it easier for the city to move down this path? Cody Hooven: Oh my gosh, there are so many technologies that are coming out, I feel like, on a weekly basis in the energy sector. I think we have more than enough tools we need, it’s really the capacity to take advantage of all of them and implement them. And governments, in general, and local governments are really risk averse sometimes. So, if you want to test out some of these new technologies for energy efficiency or renewables, you really have to be comfortable taking a little risk. I think that those are the types of tools that we’re always looking for more of. Are we willing to take some risks, can we step out a little and be a little bold on trying new things. Reading all of these public utilities commission documents, sometimes I feel like that takes a PhD just to navigate that system. Cody Hooven: So it’s those types of resources that we need. The technology — there’s plenty of that. We can get to 100% tomorrow, if we had all of the money we needed. John Farrell: Is there anything else you think folks should know who are interested in these city campaigns toward 100 percent, things that maybe they haven’t thought of? Cody Hooven: You know, I heard somewhere that most people think about their energy bill a total of 8 minutes a year, something like that. So it’s something, it’s such a big initiative that if your city is looking into it or working on it, it’s so exciting. It’s such a big deal, and it’s really hard to talk to the average person about it because they don’t think about energy. So if people hear about it in their city, I would encourage them to understand a little bit more because it’s exciting. 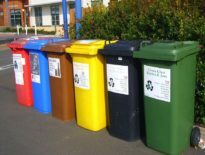 It often can be fairly political, and it’s an interesting issue that can really provide some huge benefit to your city. John Farrell: Well, I don’t think I can say it any better than that, Cody. Thank you so much for taking the time to talk with me, I really appreciate it. Cody Hooven: Yeah, thank you. John Farrell: This is John Farrell, director of ILSR’s energy democracy initiative, I was speaking with Cody Hooven, Chief Sustainability Officer for the city of San Diego about the city’s 100% renewable energy pledge and its path forward. For more information on which cities have made the 100% pledge and which states offer community choice energy and how it’s done, check out ILSR’s interactive Community Power Map, which is available at ILSR.org, while you’re at our website you can also find more than 50 past episodes of the Local Energy Rules podcast. Until next time. Keep your energy local, and thanks for listening. Marie Donahue: This has been the third episode of our special series Voices of 100% from Local Energy Rules. Tune back into the program in three weeks for our next episode in this series. We’re only featuring Atlanta, Georgia, and hearing how they plan to make good on their commitment to go all in on renewable energy. San Diego made its commitment to go all-in on renewable energy in late-2015, and it set an ambitious deadline at that time to reach its target by 2035. While providing context about what motivated the city’s actions and urgency, Hooven initially cites their climate action plan and its vision to reduce greenhouse gas emissions. Strong support from key allies, including the city’s business community, gave the city cover to set an even more ambitious target and ensured the city’s plan would be more than words. With a clear commitment and timeline in place, the next question for the city is: What pathway will lead the city to success? Hooven, her office, and the city are now working on a more detailed plan forward. A couple different forks in the road could lie ahead. First, Hooven explains how the city could opt to work with its incumbent utility San Diego Gas & Electric, as a partner to help them reach their renewable energy commitment. The city has been in close talks with the utility to evaluate this option, developing a blueprint that will be brought to the mayor’s office and city council for review later this year. Earlier coverage of these negotiations, from the San Diego Union Tribune, suggests the utility may be dragging its feet in this process. A second, potentially more attractive option could be for the city to take charge. California is one of seven states with a policy enabling “community choice aggregation.” Such programs give cities more leverage and flexibility to decide who supplies their energy and allows them to broaden purchasing decisions to include cost, pollution concerns, and local economic benefits. San Diego joins dozens of cities in the state and elsewhere considering community choice. An existing program in Marin County, Calif., provides an example of how local governments can exercise authority in energy purchasing decisions on behalf of customers in their community, even when they face opposition from incumbent, monopoly utility companies. Learn more about how community choice aggregation programs work here, and find out which seven states, including California, have enabled this policy by exploring our Community Power Map. Hooven has heard from some who believe these programs are still “too new” to implement. She believes it is these ideological challenges — and not technical ones — that loom largest. In fact, she suggests the rapid expansion of these programs illustrates their success and could even prove naysayers wrong, soon enough. If San Diego pursues a community choice aggregation model, the city will need to decide on its mix of energy sources. Hooven stresses that the city seeks an energy portfolio “that is cost effective and renewable.” New technology will help. As the economics of solar and battery storage continue to improve, San Diego has an opportunity to shift even more of its electricity generation locally. 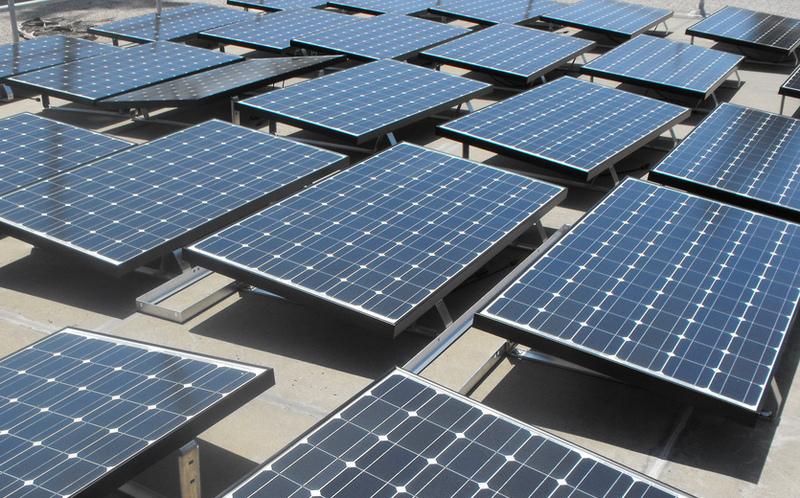 While the city already boasts abundant solar resources, Hooven thinks the city will do more to harness distributed energy resources like solar and the local benefits they bring. 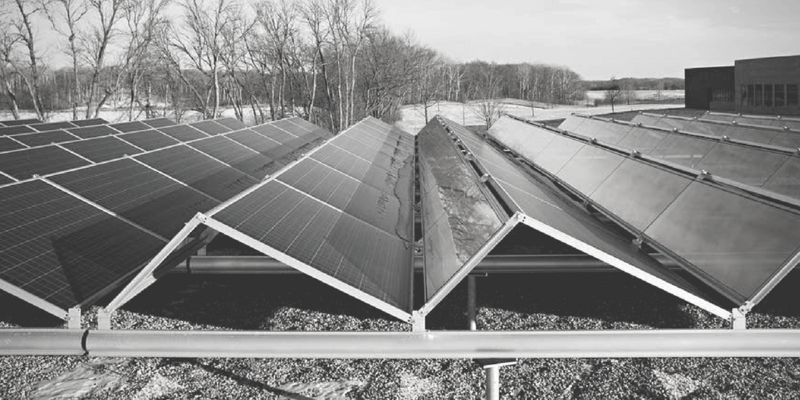 “Solar is going to play a big role for us, we have the perfect weather and setting for it. It’s abundant here and can only expand, and we have a lot of companies that are growing in that space and providing job growth, as well,” Hooven notes. Although the rate of change in technology in the energy sector provides San Diego with opportunities, details of how cities reach their 100 percent commitments can also be wonky and challenging for local officials and the general public to follow. Hooven laments how the average person might only have time to think about energy issues for a few minutes a year as they pay their electricity bill. However, she is hopeful more will become engaged in charting the renewable energy path that San Diego is now on and take advantage of the benefits that will come along with this decision. San Diego illustrates how quickly the tone of the conversation around 100 percent goals can change, when the community does engage. Hooven points to this transformation as a sign of encouragement and that the city is heading in the right direction. Want to hear other stories of how communities are making and implementing 100 percent renewable energy commitments? Stay-tuned for the next episode in our Voices of 100% series featuring Atlanta, Ga., in three weeks! For an earlier interview about San Diego’s commitment to 100 percent renewable energy featuring Nicole Capretz, one of the authors of the city’s Climate Action Plan and now Executive Director at the Climate Action Campaign, check out this previous Local Energy Rules podcast episode: Getting San Diego Ready for 100% Renewable Energy. You can find our recent report on solar energy and battery storage mentioned during the interview that explores the favorable economics of distributed energy resources, here: Reverse Flow: How Solar Plus Batteries Shifts Electric Grid Power from Utilities to Consumers, along with a related webinar and recent Building Local Power podcast episode. For more on city tools to meet ambitious local energy goals, see ILSR’s Community Power Toolkit. Locate other cities and towns like San Diego that have existing 100 percent renewable energy commitments, states that allow community choice aggregation discussed in this episode, and explore policies that help advance these clean energy goals, using ILSR’s Community Power Map. This episode is part of Voices of , a series of Local Energy Rules and project of the Energy Democracy initiative at the Institute for Local Self-Reliance, produced by Energy Democracy Director John Farrell and Research Associate Marie Donahue. Marie Donahue works with the Institute for Local Self-Reliance’s Energy Democracy and Community-Scaled Economy Initiatives. She analyzes and writes about the implications of corporate concentration and monopoly in these sectors.